THIS DAY IN RMR HISTORY: There continued to be much lingering controversy and criticism of the equipment procured and supplied to the Canadian Contingent, and the methods by which the material was purchased. 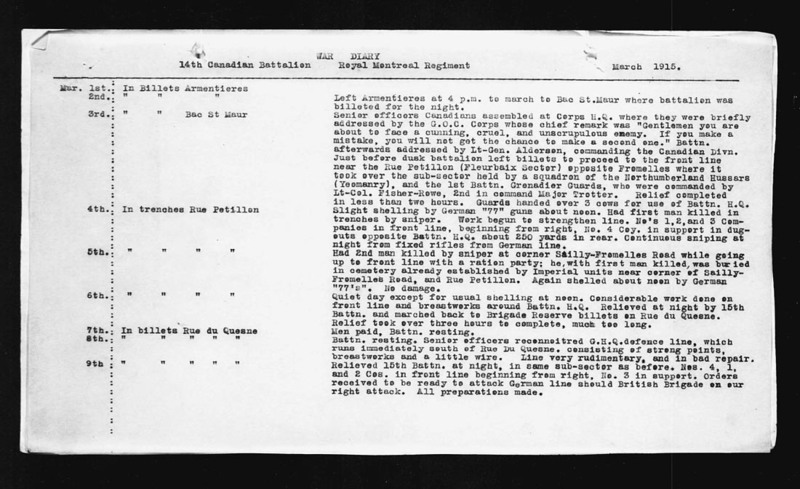 About this time (March 4, 1915), Mr. L. J. Gauthier, Member of Parliament for the riding of St. Hyacinthe, Quebec, posed no fewer that fourteen questions in the House of Commons, with a view to finding out why the Canadian soldiers were not equipped with a waterproof coat. “No Muster Roll Yet, Answers Gen. Hughes,” Special Despatch to The Globe, The Globe (1844-1936), Toronto, Ontario, Friday, March 5, 1915, pg. 11.